The soprano saxophone in many respects symbolizes the willfulness of jazz: an instrument fraught with intonational challenges, it has given rise to some of the most distinctive voices in the music’s history. Bechet, Hodges, Coltrane, Shorter, and their many heirs have made the soprano one of the signature sounds of the past quarter century. Jane Ira Bloom’s approach to the instrument embraces all that and quietly insists on being considered on its merits-which are considerable. Here she works with an extraordinary quartet, comprising Fred Hersch on piano, Mark Dresser on bass, and Bobby Previte on drums. 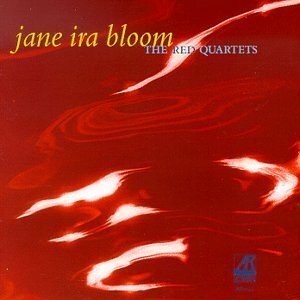 The quartet opens up nine Bloom compositions and a pair of standards, finding textures ranging from velvet to flint. Hersch and Bloom communicate telepathically, and Dresser and Previte have honed their sense of play in music to a very fine point. Chalk up another winner for Jane Ira Bloom.